Syrians fleeing their war-torn country in the hope of finding a better life in Europe are often charged premium prices by people smugglers. CAIRO, Egypt DPA - One evening in 2014, Ali left his home in the northern Syrian city of Aleppo along with eight members of his family, hoping to escape the war. After about 15 hours, near the Turkish border, he met smugglers who demanded 1,000 Syrian lira (4.2 euro) per person to help them cross. Ali's family handed over their money and joined another group of about 10 people with the smuggler. “We walked together at night for few hours, and as we crossed the border Turkish police stopped us, and sent us back. We stayed in the dark inside Syrian territories for almost three hours, until our smuggler saw that the police were gone, and then he instructed us to cross again,” Ali told dpa by phone from his current home in the southern Turkish province of Hatay. Ali is one of almost five million Syrian refugees who have fled their homeland. Since he and his family left Syria, the price paid by those who have followed in their footsteps has soared. Women, old men and families pay between $US700 to $US800 (600 euro to 700 euro) per person to cross into Turkey. Young men travelling on their own pay less, about $US500 (450 euro), according to Ali, whose cousin crossed the border in early 2017. “Families have children and more luggage, so the risk is higher. Young men travel light and can run if they have to,” the 22-year-old carpenter explains. In some cases, costs can be as high as 20,000 euro ($US22,300) per person when air travel and fake documents are needed, according to the International Organization for Migration (IOM). The cost of the journey depends on the distance, the route, and having another smuggler to receive migrants in transit and destination countries. The characteristics of passengers are also taken into consideration. Almost all migrants escaping war zones in the Middle East, especially in Iraq and Syria, pass through Turkey on their way to Europe and seek the services of smugglers. 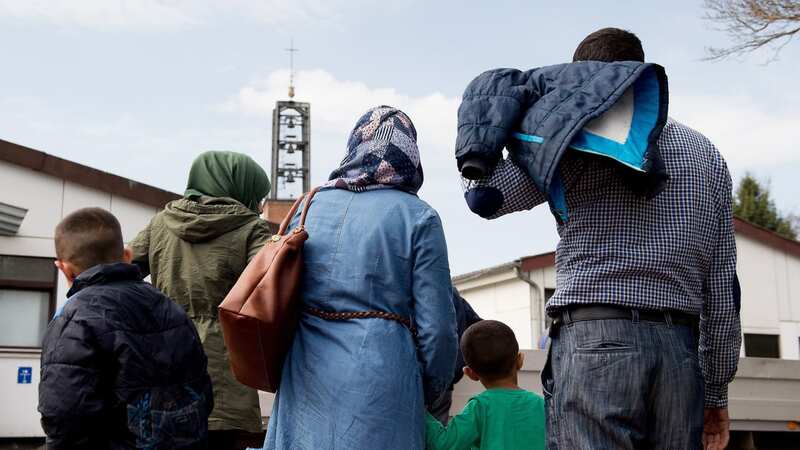 According to the United Nations, prices reached $US9,000 (8000 euro) for a family of four travelling from Iraq to Greece. Ali’s trip was relatively short, and thus much cheaper with relatively little risk, when compared to those who decide to continue towards Europe. Iraqi's face a much riskier journey as they travel through Syria bound for Turkey. For the few Iraqis able to fly into Turkey, it can often be difficult to obtain a visa when they arrive. Those who set off from Iraq's northern and western areas, such as Mosul city or the Anbar province, are the ones who usually cross into Syria and move up to Turkey. IOM described this route as the riskiest for Iraqis and often requires a number of attempts. Crossing into Syria has not been hard since the Islamic State extremist militia took control of cities on both sides of the border in 2014, effectively treating the area as the same country with almost no borders. Yet, migrants still needed to stop and change smugglers, as smuggling tends to be dominated by local rings. But that does not mean that Islamic State militias have not stopped people trying to flee many times. In response, smugglers have come up with different ways to deceive the militants. Sometimes, they would travel by donkeys as if they were shepherds or in the back of tankers carrying fuel between the Iraqi and Syrian areas under Islamic State control. Yet, everything has a price. Fuel tanker drivers would charge migrants just as any other smuggler. Each person pays between $US1,200 (1000 euro) and $US1,500 (1300 euro) to move between Mosul or nearby cities and Turkey. More than 91,000 Iraqis arrived in Europe in 2015. Many reported how they preferred to leave without their families, to lower the risks and the cost. They pin their hopes on the EU's family reunification scheme when the male head of the household settles in Europe. “One of the main reasons I did not bring my family is that if we were stopped by (Islamic State militants) along the way, (they) would ask me questions about what we were doing and even if I managed to avoid the questions and my wife managed to avoid the questions, my children would not be able to conceal the truth, they would give away our story,” a 35-year-old Iraqi man told the IOM. Research by different UN bodies suggested that smugglers have become more organised with established professional networks across different countries. Some 55,000 migrants are thought to be smuggled from East, North and West Africa into Europe every year, generating about $US150 million (134 million euro) in revenue for criminals, according to IOM's Global Migration Data Analysis Centre. In 2016, more than 181,000 migrants made the dangerous voyage across the Mediterranean from North Africa to Italy. Libya is the main point of departure in North Africa for those being smuggled to Europe. But the country has been gripped by chaos since the 2011 armed conflict. The political turmoil has also compromised border control, which is what makes Libya attractive for irregular migrants despite the increasing dangers. Sometimes migrants head to Egypt, yet even many Egyptian migrants prefer to go to Libya to take a boat to Italy from there, as Egyptian authorities have increasingly tightened their grip on the northern coast. Before 2014, journeys from North Africa to Europe involved standard prices, which varied depending on the nationality of the migrant and the service they were able to pay for. Since then, Syrian refugees have paid higher prices than sub-Saharan Africans, $US20,000 (18,000 euro) instead of the standard $US6000 (5300 euro). While the higher payments secured the Syrians a place on the on the top deck of the vessel and a life jacket, they still faced a perilous voyage across the Mediterranean. At least 4,579 people drowned in the Mediterranean en route from Libya to Italy in 2016 - a record number according to the European Border and Coast Guard Agency. In 2015, the death toll stood around 3,000. The United Nations Office on Drugs and Crime has been providing support for Libyan officials in the form of technical assistance and advisory services to counter transnational organised crime in an attempt to halt the people smuggling trade. The human rights group in 2016 issued a report highlighting horrifying accounts of sexual violence, killings, torture and religious persecution suffered by migrants travelling along the smuggling routes to and through Libya bound for Italy. “Libya is in the depths of a humanitarian crisis,” wrote Matteo de Bellis, Amnesty International’s migration researcher. “Refugees and migrants face the risk of arbitrary detention, abduction, ill-treatment, sexual violence and exploitation. “If EU leaders really cared about the abuses refugees and migrants face in Libya, they would offer them safe and legal routes to Europe, in particular by making humanitarian admission to Europe available to the thousands of people in need of protection.